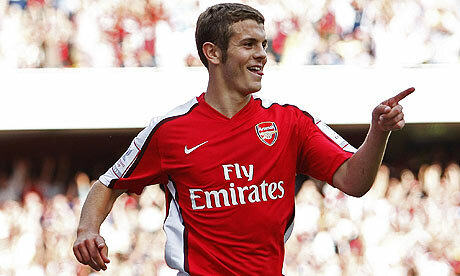 Would you like it if the game against Chelsea got postponed? Ok, I know the weather forecasts in London sound promising and the game is likely to go through but would you rather that the game is called off? Not to sound like a coward or anything, but at a time like this I would have preferred a game against a weaker opposition. Our form against top sides has been ludicrous for the past couple of years. This Arsenal team is heavily dependant on confidence when it comes to winning games. After losing to Manutd last week, this match against Chelsea does not feel auspicious at all. A quick look at the fixtures reveals that we have a good number of away games coming up. We do have one home game within the next five fixtures though. It’s against Manchester City. No matter how chimerical our away record is this season, I always believe that home games are easier. But sadly, we do not have any easy home games coming soon. What we do have is a couple of manageable away game coming up against Wigan and Birmingham respectively. So would you rather face Wigan away or Chelsea home as your next game? Surely the majestic Wigan. But then again, will there be a better time to face Chelsea than now? Chelsea are out of form. In fact, I do not remember them playing this bad since 5 or 6 years ago. With one one win in their last six games, getting to play Chelsea now is like gold dust. Fat Frank should be rusty having just made his comeback from injury. Didier Drogba should also be low in confidence after missing the penalty against sp*rs. A win for Arsenal is definitely on the cards then. Another reason why this might be a good time to face Chelsea is because we are in luck with injuries currently. The only big player missing is Vermaelen and he should be back by the end of January. Other than that our strike and midfield options are at a maximum. The sad thing is, so are Chelsea’s. They also have players coming back and the only injuries they have is in defense. But personally I do not care about the opponent as long as we are injury-free. As they say, Weather is very unpredictable. Forecasts predict the game will probably not be called off. 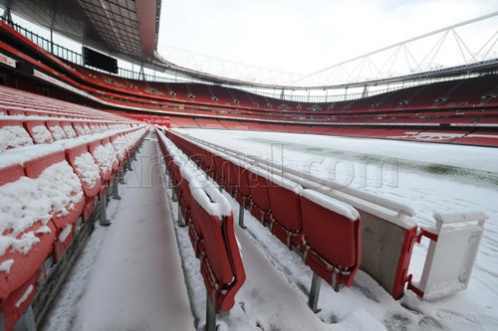 Plus, the Emirates is built to resist such conditions and we are lucky to have such a majestic stadium. But what do you want? A lovely match under the sun which you are confident we will win or a blizzard that freezes the engine of the Chelsea bus? Do let us know.